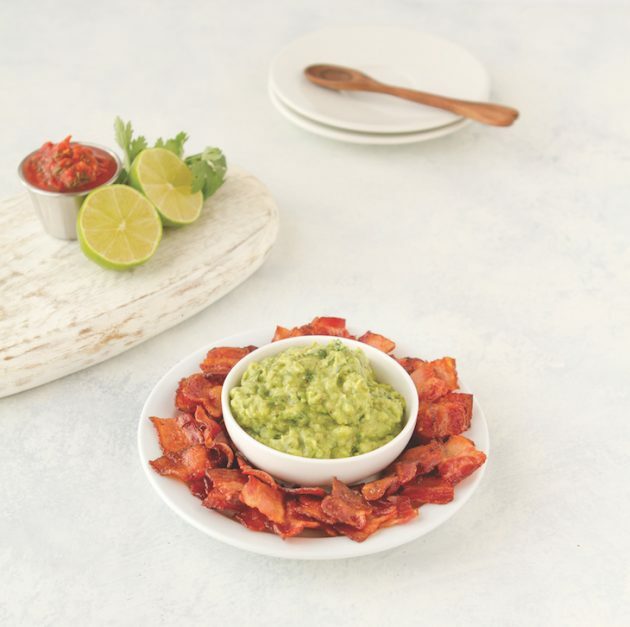 The best guacamole ever, supercharged with MCT oil for the perfect keto fat bomb! Serve with bacon crackers, pork rinds, or your favorite low carb veggies! Place the avocado flesh, oil, vinegar, lime zest, lime juice, dried oregano, salt, and pepper in a large bowl. Mash with a potato masher or the back of a fork to the desired consistency. Stir in the cilantro and chives and you’re ready to party! I’m sharing this recipe from page 260 of my paperback, The Keto Diet, because it’s a must for any party. Store it: transfer the guacamole to an airtight container and place the reserved pit in the guacamole to keep it fresh. Store in the fridge for up to 3 days. Serve with: pork rinds, bacon crackers, or your favorite low carb veggie. Make it coconut-free: replace the MCT oil with refined avocado oil.